Hope you girls are doing well. Pardon for the lack of blogging due to my busy schedule. It's been a fulfilling and happening few months, and I would like to share with everyone what I have been up to. 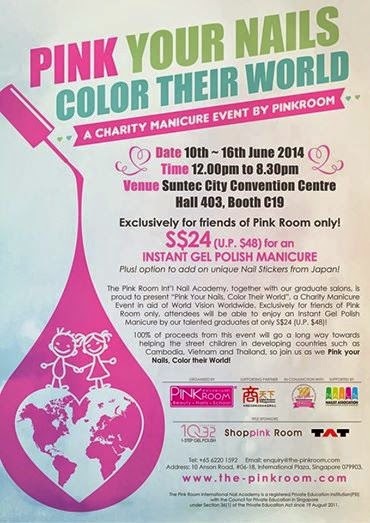 From 10 June 2014 to 16 June 2014, Pink Room was at Suntec City giving gel manicures for a charity event, Pink Your Nails, Color Their World. Through the efforts and kind help of many, the event was a success. On the second day of the event, there were more than 50 manicurists gathered at the atrium and held a manicure marathon. It was such an eventful day for me and indeed satisfying. 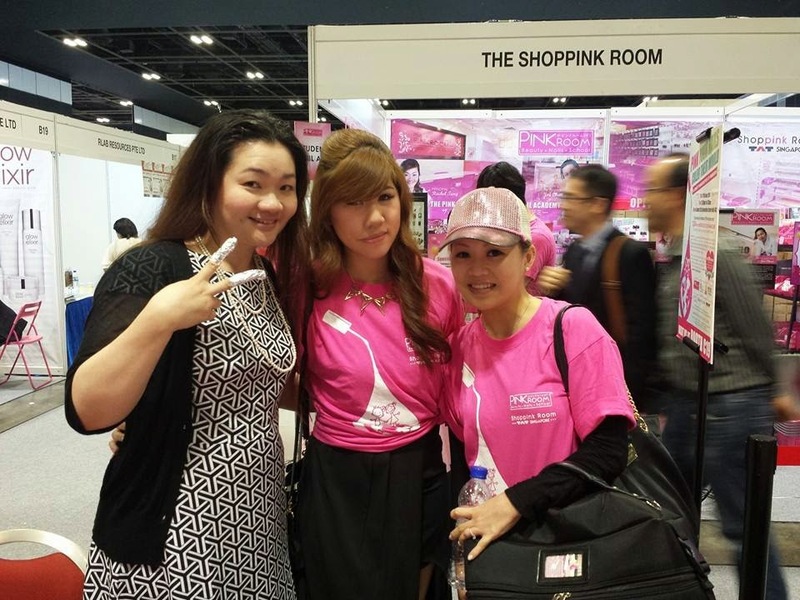 It was a sight to behold as our iconic pink shirts could be spotted everywhere in the hall! I was glad that the responses were good and everything turned out well. Our professional graduates did an excellent job and I am so proud of them. Though we were all exhausted after the charity, it definitely felt great to know that we did participate in a very meaningful event for a good cause. Taking part in such an event with our skills and passion, it felt like killing two birds with one stone, isn't it! 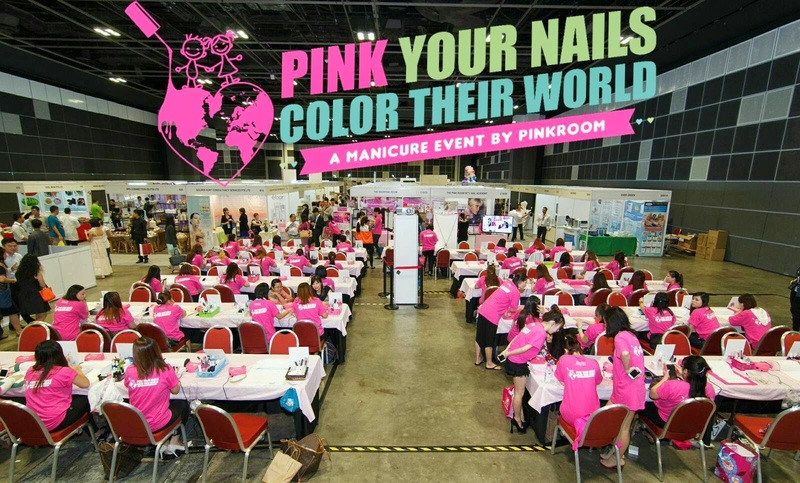 I would like to thank our generous graduates and students who had came down to Suntec City last week to support our cause in providing gel manicures that'll go a long way to help the World Vision. Not forgetting members of the Pink Room Network who came down to help, Top Brand Asia, Nail Shop TAT and 1Q32 Instant Gellish. I have enjoyed myself in the process of this event and appreciate everyone who took part in this. Stay tuned to my blog for more updates coming!